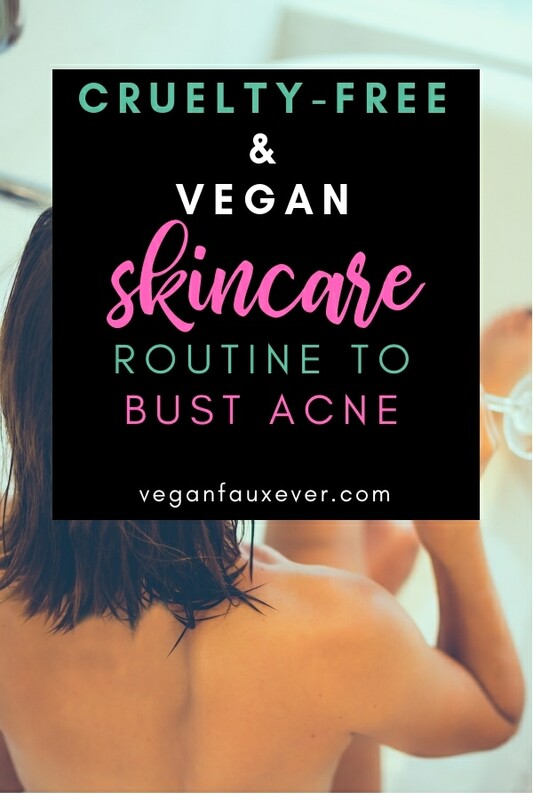 After so many years of working in the skincare industry and being a health and beauty writer, I picked up a few things about skincare products…including cruelty-free and vegan skincare products. I can rattle off which ingredients are amazing for certain skin types and warn you about products that will exacerbate your issues. Let’s talk about one skin condition that MILLIONS of women struggle with: Breakouts. It’s not pretty. It’s painful. And it puts a damper on your self-esteem. This is one topic I get very passionate about because I struggled with acne for YEARS. Switching to these vegan products has made a world of difference in my skin health and confidence. Pore-fect skin is easier than ever to achieve! Kick breakouts to the curb and zap those zits with maximum strength 2% salicylic acid (naturally derived from willow-bark extract). Which ACNEdote™ product is your go-to? After I discovered this cleanser, I will never go back. The main active ingredient is salicylic acid, which is a chemical exfoliator that works wonders for acne-prone skin. My skin responds incredibly well to this ingredient. In fact, when I use this cleanser regularly, I basically never break out anymore. And this is coming from someone who thought she’d spend the rest of her life dealing with acne. I also love the brand that makes this product because it’s cruelty-free, vegan, and has pretty clean ingredients. My favorite cleanser also gets bonus points because it’s the most affordable product on this list. Woohoo! I usually get mine from Target, but they sell out constantly, so I order the 2-pack on Amazon. If you read any beauty blog out there, they’re going to tell you to keep exfoliation to a minimum. 1-2 times per week maximum. As a self-proclaimed skincare expert, I completely disagree. I have oily and acne-prone skin, so the beauty gurus would really advise me to steer clear of exfoliation. Let me prove them wrong. Once I started exfoliating regularly, my acne cleared up. This is because oily skin clings to dead skin cells, bacteria, and all kinds of gunk that shouldn’t be on our faces. My favorite kind of exfoliation is using a brush. You don’t need harsh exfoliating masks or DIY scrubs. Just a good cleansing brush will do. I use this face brush in the shower once per day. On days where I don’t use a cleansing brush, I notice a dramatic difference in my skin. It’s battery operated, but I don’t even turn it on. I just hold onto the handle and apply a little force as the brush heads go to work. Just get the brush head wet, add your favorite cleanser (this one to clear up acne), and scrub gently. Note: Even though I said you don’t need an exfoliating mask, I still love exfoliating products. I just don’t use them every day like I do with my holy grail cleansing brush. As a beauty editor, I’ve tried dozens (if not hundreds) of exfoliating masks. This one is the only one that actually works for me. It’s made with activated charcoal, which is also great for acne-prone skin and detoxing your pores. I can’t believe I went 23 years of my life without this product. It’s sold wherever beauty products are sold, and it’s a miracle for acne. You may have even seen this product before and passed it up. It doesn’t have pretty pink packaging like most beauty products, and they’re not out there marketing to everyone on Instagram. This toner has super simple ingredients, yet it’s a powerhouse for breakups. The main ingredient is witch hazel. It basically flushes your pores and hits the reset button on your skin. If you’re having a stubborn breakout, make this product your BFF. The instructions say to apply with a cotton ball, but the cotton ball will just soak up the product. Wash your hands thoroughly and just use your hands. You can also fill up a reusable spray bottle and mist your face with the toner. This is what I do when I have a long flight or when I want to make sure I use this product multiple times per day to de-congest my pores. The holy grail of all holy grails. The one moisturizer that will never break me out. My ride-or-die face cream til the end. Here she is. Here’s the thing about moisturizers and face creams: They all break me out. I don’t know why. I don’t know how. As a self-proclaimed skincare expert, you’d think I would have figured this out by now. But no. If you’re like me and can’t find a moisturizer that doesn’t clog your pores, then just know that this moisturizer was made for you. The collection is literally called “Very Clear” as in very clear skin. I’ll take it! Since starting to use this moisturizer, I’ve noticed significantly fewer breakouts and my skin is also less oily. The formula includes my favorite acne-clearing ingredients: Salicylic acid and tea tree oil. Derma E recently rebranded (love the new packaging!) so don’t be alarmed if your product still sports the old packaging. So I have more acne-clearing tricks up my sleeve than just these 4 steps. These are just the 4 steps that I simply will not skip. I do these 4 things every single day, and my once broken out complexion is now clear most of the time. Nobody has perfect skin, but this is 100% the best my skin has ever been. If I notice a breakout coming on, I use this spot treatment by LUSH. The main ingredient is tea tree oil. It will dry out your skin, so only apply it where you’re breaking out. Recently, I’ve added a vitamin C serum because antioxidants are key to healing. I’m currently using this one, but I’m eager to try this one next. I stick to a super simple skincare routine: Cleanse, Exfoliate, Tone, and Moisturize. If my skin is mostly clear, I will also use an Eye Cream and Serum before moisturizing. My go-to brands don’t shock my skin. I rarely introduce new products because acne-prone skin can be sensitive. My foolproof brands for acne are Alba Botanica, Thayer’s, Derma E, and LUSH. I keep my diet as clean as possible. This book really helped me clean up my diet to give my skin the best possible chance of healing. The book basically teaches you how to eliminate acne-causing foods and incorporate acne-healing foods. Once or twice per year, I invest in a high-quality probiotic. I couldn’t believe how clear my skin was after 30 days of using this product made by The Beauty Chef. Buy this beauty probiotic here. Thanks for making it to the end of this article! I really hope you learned a couple things about products that ACTUALLY treat acne. If I had to pick the #1 product on this list, it would have to be the cleanser. This is a tough choice because I can’t live without ANY of these products, but I’d say the cleanser has made the biggest difference in my skin. The close runner-up is definitely this moisturizer, which is unlike any face cream I’ve ever used. Want more vegan beauty recommendations? Check out my guide to vegan shampoo and conditioner!